Spoiler: You will hate Troilus--will truly, irrevocably HATE the man. But don't let that stop you from reading this! 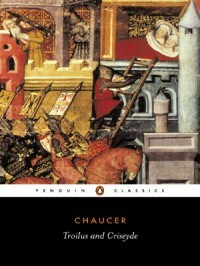 As always, Chaucer shows his genius with language and plot in this work while again satirizing courtly love. I suggest reading this in a class or with another person, as there are so many little quips and comments to pick up on (I read this in a Chaucer class and was blown away).